Hello! 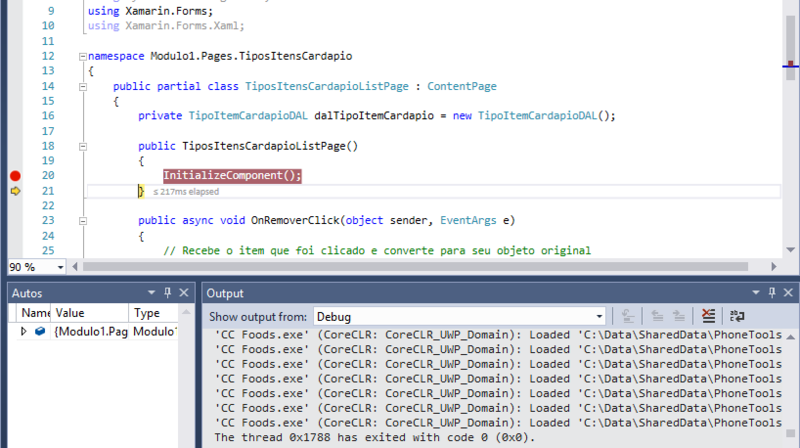 After initializing a "ContentPage", the following error appears: "Enumerable.cs not found". In fact, I did not find the class. Is "Enumerable.cs" unique to "System.Core"? 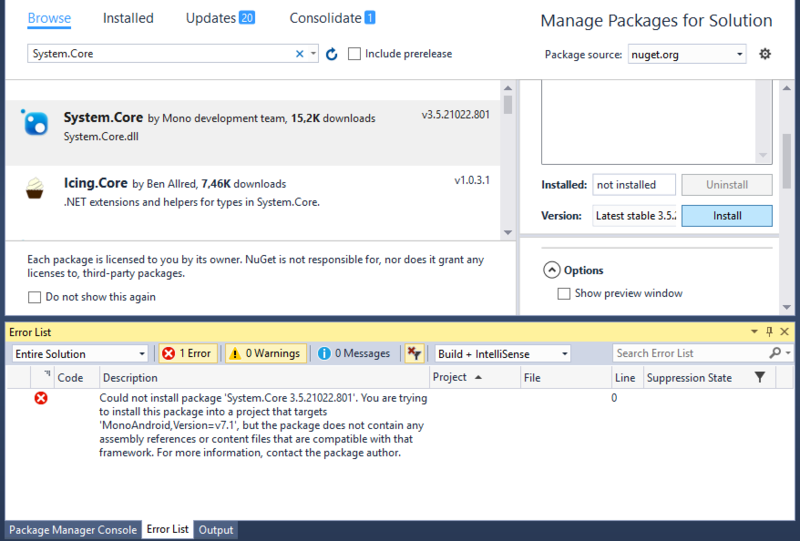 I tried installing "System.Core" but it showed an incompatibility I do not understand. 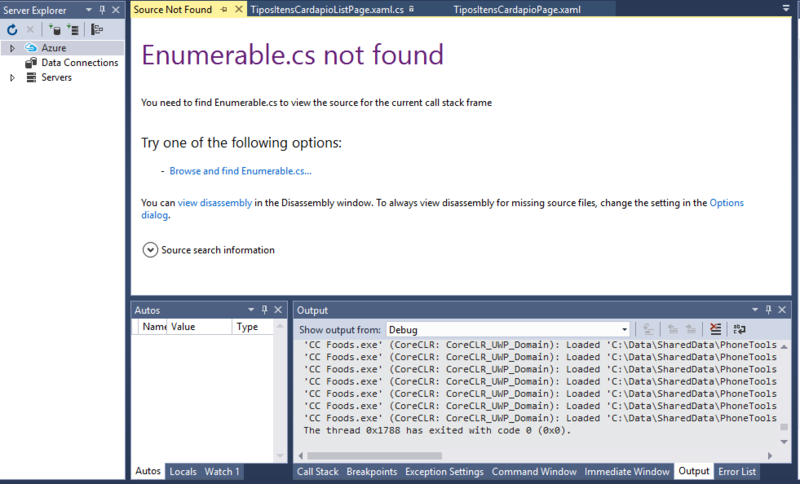 How can I adjust this error or be able to install "Enumerable.cs"?